Denise Griffitts, 'Your Partner In Success™' is a happy nerd in stilettos who works from her beautifully appointed home office with the enthusiastic assistance of her feline office assistants and one woefully outnumbered dog, Abbey Rose. 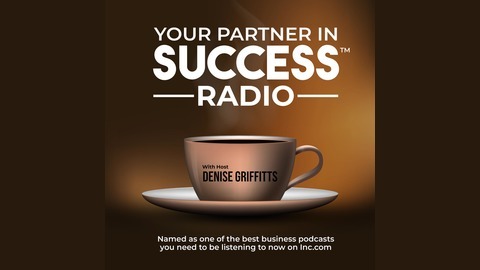 A long-time online business creator and marketer, online business manager, and web developer, Denise is also the host of the very popular podcast called Your Partner In Success Radio which has been identified on INC. com as one of the best business podcasts you need to be listening to now. 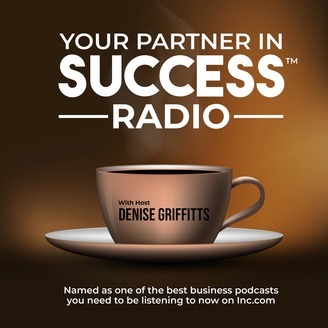 Growth Hacker Nathan Pettijohn joins host Denise Griffitts to share digital strategies to help grow your online presence. Nathan Pettijohn is a talent manager, producer, and growth hacker. In 2011, Nathan founded Cordurouy, where he now serves as CEO. Cordurouy leads digital strategy for numerous brands and influencers. As a talent manager, Nathan represents business innovators such as Janice Bryant Howroyd (Founder and CEO, The ActOne Group). Nathan is a contributing writer for Forbes on topics relating to what business leaders need to know about innovations in media and digital strategy, and is the coauthor of #1 Amazon Bestseller, Zen and the Art of Admin Tasks, a tactical guide to outsourcing your administrative work so that you can focus on driving exponential value in your personal and work life. We will discuss: Building online influence.What business leaders need to know about innovations in media and digital strategy.How a solid, automated, outsourced administrative system will save you valuable time and energy, which you can then use to create real value in your personal and work life.There are more commonalities than you’d think between online advertising and the spread of fake news.